Click on the "? ", to see our font style choices. Use the box above if you would like to clarify or customize your design. If your event is within 7 business days or less, contact us before you place your order, to see if we can fit you in. There is no extra charge for rush orders. Want to see a proof? Click on the "? ", for information about a proof. A minimum purchase of (36) is required for this product. Tic Tac Size: 1 oz. or you can order our Tic Tac peel & stick labels and do it yourself. By ordering the "Labels Only", you can save a little money on the product & shipping cost. in the Additional Customization box on this order form. Tic Tac� is a registered trademark of Ferrero U.S.A., Inc.
We are in no way affiliated with Ferroro U.S.A., Inc or the making of Tic Tac� candies. Ferrero U.S.A., Inc. has nothing to do with the personalization of this product. 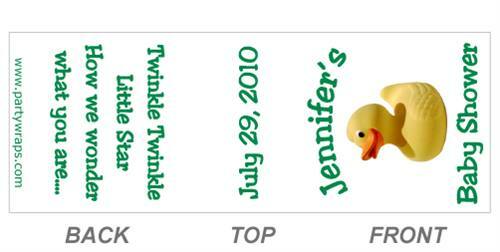 Copyright © Party Wraps. All Rights Reserved.